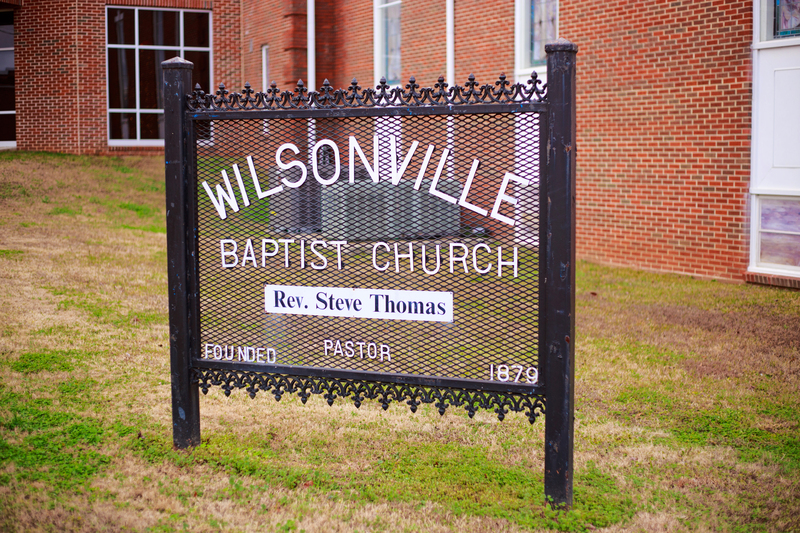 Wilsonville Baptist Church has served the community of Wilsonville, Alabama for over 130 years. A member of the Southern Baptist Convention, our purpose is three fold: 1) to win the world around us to the saving faith in the Gospel, 2) to believe the Bible more through consistent study and meditation, and 3) to care for our community members' physical and spiritual needs. We invite you to learn more about us through this website and to visit with us soon. Learn more about what we believe as a church family. Jeff has been the youth minister at WBC since 1999. He received his undergraduate degree from the University of Montevallo and and his graduate degree from Liberty University. Jeff is married to Vonda Kay, and they have four children: Jim, Lauren, Amanda, and David. Chuck has been the children's minister at WBC since 2003. He graduated from Samford University and Rockbridge Seminary (Masters of Ministry Leadership). Chuck is married to Diane, and they have three children—Bethany Broderick (Joseph), Myrissa, and Laralyn. They have one grandchild, Karis. Matt has been the music minister at WBC since 2012. He graduated from the University of Mississippi with a bachelor's degree in music education. Matt is married to Laurie, and they have four children: Matthew, Benjamin, Jacob, and Claire. They have one grandchild, Lukas. All denominations met for church services in Wilsonville's old school building which stood facing the Four Mile Road on the site which is now the Wilsonville Cemetery. In 1879 several Baptists church members asked Dr. E.B. Teague to organize the Wilsonville Baptist Church. They continued to meet in the depot until a church building could be completed. Dr. Teague was pastor from 1879-1887. Some of the charter members were: Mrs. Offie Ray, Mrs. Vennie Ray, P.T. Ray, J.L. Ray, Col. W.T. Smith, Mrs. A.M. Tomlinson, and George Tomlinson. The church joined the Coosa River Association the year it was organized. The Association met at the Blue Eye Church, Anniston. The first letter to the Association states: "Letter, Credentials and Articles of Faith were presented by M. Henderson from the newly organized church at Wilsonville, Alabama." Thirty-nine members were reported, four having been baptized. The letter was signed, E.B. Teague, Pastor and W.T. Smith, Clerk. In 1880 the church had grown to sixty members. A Sabbath School was organized that year. The minutes state: "So far as we can learn the Sunday School is using 'Kind Words' and the International Series of S.S. Lessons." The first children's organization mentioned was the Wilsonville Earnest Workers, in 1885. The average attendance in Sunday School that year was twenty-five.